Just as cities plan for future growth, the Mt. Hood National Forest must also plan for management of natural resources and lands. 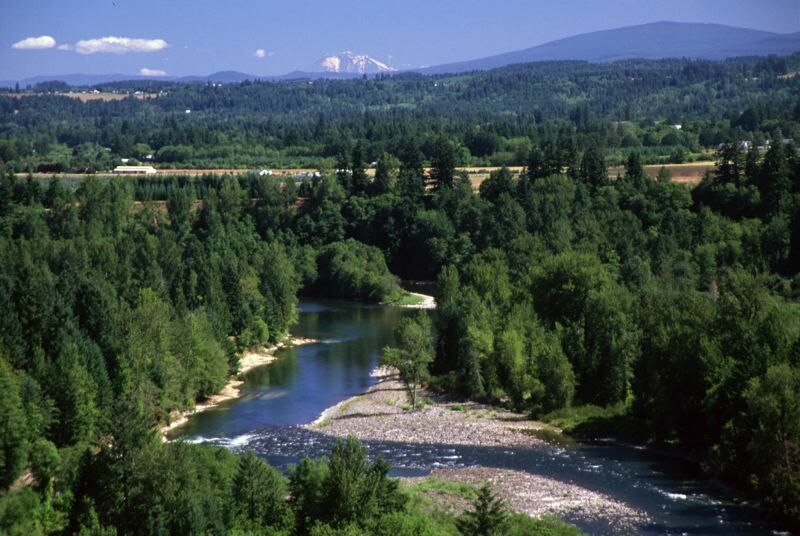 In 2009, Congress designated nine rivers within the forest as part of the National Wild and Scenic Rivers System, requiring foresters to plan for those waterways' future protection. Right now, forest service staff are working on the preliminary stages of such a plan and are seeking public input before Friday, Nov. 2. "We're really encouraging people to read the river values report and tell us anything they feel we might have forgotten or that's important to them," said Laura Pramuk, public affairs officer for Mt. Hood National Forest. Affected by the plan are the Collawash River, Eagle Creek, East Fork Hood River, South Fork Roaring River, Fifteenmile Creek, Fish Creek, Middle Fork Hood River, South Fork Clackamas River and Zigzag River. "We are blessed on the Mt. Hood National Forest to have so many scenic rivers," Pramuk added. "It's a pretty large amount of wild and scenic rivers for one forest." During the public comment period, the staff is looking for input on what attributes or values might be considered "oustandingly remarkable" or "unique, rare, or exemplary ... significant when compared to other rivers in the region or nation." Of the 81 miles of waterways in the Mt. Hood National Forest designated as national rivers, some are recognized for their botany, being critical habitats for endangered species, the recreational opportunities they offer, and other features. All of those thought of by forest service staff are outlined in the river values report, which can be read online at www.fs.usda.gov/nfs/11558/www/nepa/109997_FSPLT3_4431601.pdf. "The river values report really gives the public an opportunity to comment on the project — to validate what's in the report," Pramuk noted. "These plans are pretty rare. It's a very involved process and kind of a unique opportunity for the community to get involved." n Written comments can be mailed to Michelle Lombardo, Environmental Coordinator, 16400 Champion Way, Sandy, Oregon 97055.
n Comments may also be hand-delivered between the hours of 8 a.m. and noon or 1-4:30 p.m. Monday through Friday to 16400 Champion Way, Sandy, Oregon 97055. For more information about the project, visit www.fs.usda.gov/detail/mthood/home/?cid=FSEPRD588719.